Do you have a yarn lover in your life? Are you unsure what to get them every time a holiday or birthday rolls around? Here are some gift ideas for crocheters and gift ideas for knitters! Please add any other suggestions in the comments section. In each section, I have linked to some common options for each. We work with some of these companies and they provide us an affiliate commission if you purchase from one of our links at no extra cost to you. This is one of those things that we all put off buying because you think you can get away with doing it on your own! That is why this one is a great gift. Your yarn lover will thank you over and over for this one. They might already have a yarn winder, but use something like the back of a chair or tired arms to hold the hank of yarn to be wound. Time for that to end and grab them a great yarn swift to help make winding go very quickly! This goes right along with the swift and all the yarn lovers need one of these. It completely cuts down on the time spend winding yarn. If you have ever seen your yarn lover using their hands to do this task, then this will be a well-deserved gift. It also makes a great gift in combination with the yarn swift, so if you want to team up for gifts, this is a great option. You can buy one and suggest the other to another family member or friend. There are several great examples of yarn subscriptions around. I have already reviewed Yarnbox for you here. Yarnbox has gone out of business, so here are a few other options that work in the same way. The idea here is buying a subscription that delivers yarn to your yarn lover without you having to pick out colors or types and possibly getting something they don’t like. You can order the subscription and they can set up their accounts with their own preferences…every month they get a delivery, they will think of you and smile! Okay, gift cards are usually a fall-back gift that sometimes says that you don’t really know someone well enough to buy them a gift. 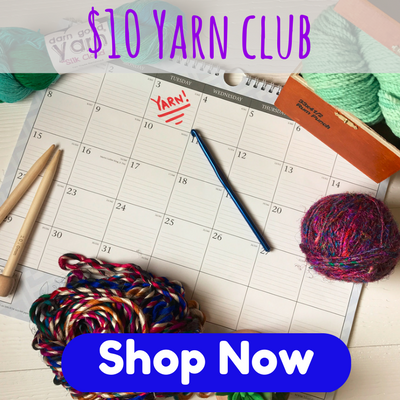 So, tailor your gift card to your yarn lover and focus on yarn and all the accessories. Also, be sure to check your local yarn store for gift card options. That is always a great gift for a yarn lover. Another great gift option is to pay for them to attend a class on a topic of their choice. Your local yarn store likely offers several types of courses, from beginner to advanced, and for specific projects. They usually offer crochet, Tunisian crochet, and knitting classes. So, check there first for any local face-to-face classes and then pick something that fits their style or skills. We all know that yarn projects are portable, so why not find them a really cute bag to carry their works in progress? These can be any kind of bag that has enough room for yarn and a small tool bag. So, you can find something at a craft store, or anywhere that sells awesome bags. I like a bag similar to a shopping bag, just smaller. Look at what your yarn lover is using now and just get something similar in a style they might like. You can also find bags that are meant to be used for yarn projects and go in that direction. These gifts are always fun. There are so many to choose from, so check reviews and take a few minutes to look at their projects and see if it is similar to what you see them working on at home. You can even have them make a list in Amazon of the books that they might like and then choose from there. You could also give a book and a gift card together so they can buy yarn to complete a pattern in the book. These are great for yarn lovers. Who doesn’t love to get a monthly book with ideas and patterns and just lots of yarn love. This one is a little more expensive, but would make a lovely gift. There are many places where your yarn lover can go for a yarn retreat or a cruise! These retreats and cruises offer classes and just a relaxing place to get your yarn on! You can search for something local or even something in another country. If you can’t find a retreat in your area or you would like to do this but on a smaller scale, you could set up something less formal – a night or two at a local hotel where they can relax and work. You could even get their best yarn pals to join them for yarn play. 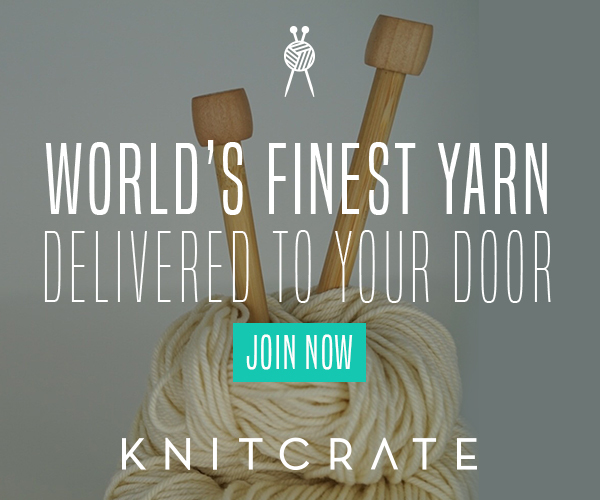 Figure out what your yarn lover would want and make it happen! This last suggestion is one of those other items that many yarn lovers don’t ever buy for themselves, but again, these make things so much easier once you have one. Plus, they just look lovely and make you feel special! Let us know how your yarn lover loved the gift you got them! Pin this post to share with your friends!